Watch the development of your Hippeastrum as it grows into the water in this 24cm tall, heavy based, quality, glass Hippeastrum vase. Then marvel at the beauty of the magnificent flowers as they burst into bloom. Once the Hippeastrum is planted out you have a fantastic vase for Gladioli and other taller blooms. 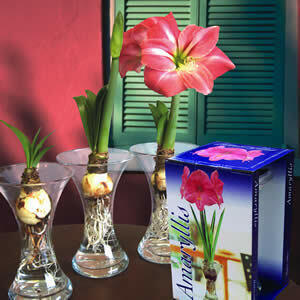 Kit comes with Glass vase and one Hippeastrum bulb. 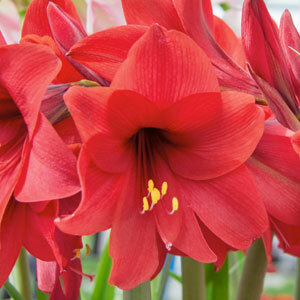 Ideal Christmas gift as the bulb can be refrigerated to flower close to Christmas. Image is a guide only.